FIFA have released a 36-man list of referees that will officiate matches at the 2018 World Cup in Russia. FIFA has published a list of 36 referees to attend a World Cup seminar from Nov 25 to 29 in Abu Dhabi that does not include any officials from the English Premier League. The referee who awarded the penalty that destroyed Northern Ireland’s World Cup dreams has been axed from Fifa’s match officials list for Russia 2018. Ovidiu Hategan’s controversial decision to gift Switzerland the spot-kick for a hotly-disputed handball in Belfast was the only goal in the two-legged play-off. 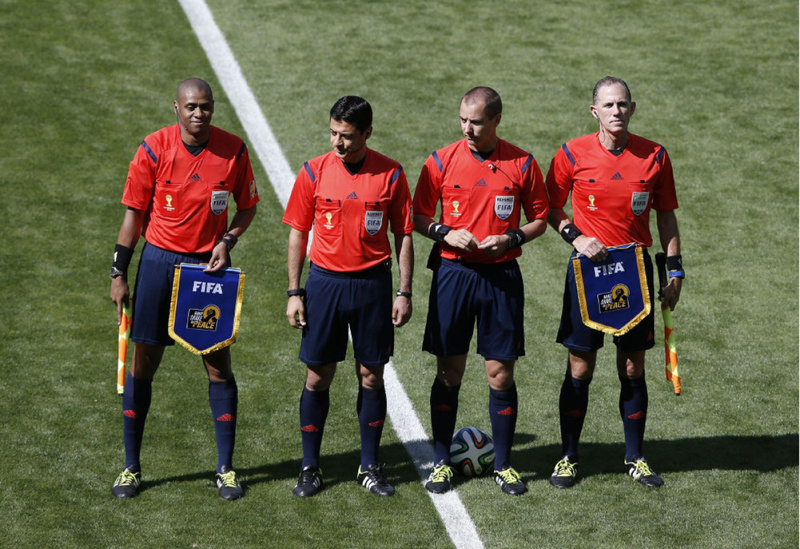 FIFA says its final selection of referees to attend the tournament is planned for January 2018. Below is a list of the referees, countries they represent and year of birth.